One of my favorite passages in the Bible comes from Isaiah 61:3 “…to bestow on them a crown of beauty instead of ashes, the oil of joy instead of mourning, and a garment of praise instead of a spirit of despair”. In fact, I like this verse so much that I named my first book – Beauty from Ashes – after it! Beauty from Ashes. To me, this means that if I give God my ashes, He exchanges them for beauty. So good, that this became the foundation I built Maple Tree upon. My desire was to give someone hope in the midst of a storm. So that at the end of their journey, they could look back and see where God had taken their ashes and made something beautiful. But, what even are ashes? I believe ashes are our wounds. They are the places in our lives where we are prone to despair. Things that are so difficult, it is hard to see a way out. These things include death, depression, and cancer. For one of our patients, these ashes hit all at once. This week, we want to highlight one of our brave cancer warriors – Bobbie Monce. She is a living example of beauty coming from ashes! Bobbie’s husband died last year. A few weeks later, she was diagnosed with beast cancer. As you can imagine, these two tragic events brought on a storm of depression and anxiety. Bobbie explained that each day was an obstacle for her. Aside from her grief, she was experiencing muscle weakness and range of motion limitations to her upper body because of her cancer treatment. This prompted her to begin exercising at Maple Tree five months ago. Since then, Bobbie has seen huge improvements to both her physical health and her emotional health. She credits Maple Tree with helping her remember who she used to be before her life fell apart. She credits it to helping her make it through the death of her husband and her cancer treatment. “I am still here,” she says. 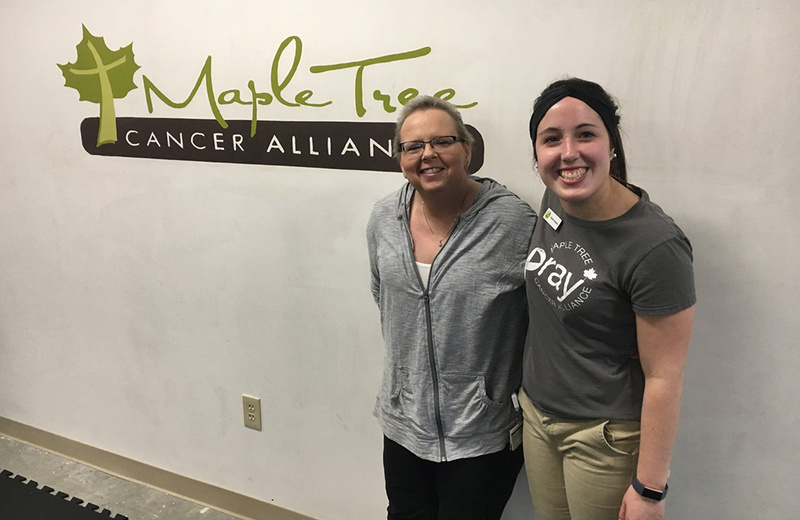 For us at Maple Tree, Bobbie is an inspiration. She shows up every day with a smile. She isn’t afraid to try new things. She pushes herself to get better. She has seen God take her ashes and make something beautiful. Thank you for your inspiration, Bobbie!